The most powerful four-door car in the world. 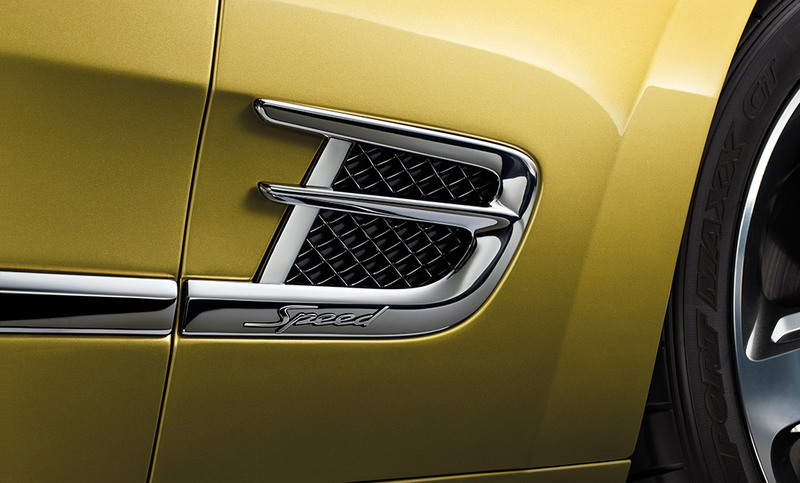 The ultimate expression of performance and luxury can be found with the new Mulsanne Speed. At Rybrook Bentley Bristol we will ensure a smooth process from your initial enquiry to creating the perfect car with you, all the way through to maintaining the vehicle with our dedicated aftersales team. The car has received many great reviews from motoring journalists including Jeremy Clarkson, who stated that the Mulsanne Speed is “the torque of the town”. The Mulsanne Speed offers a sporting take on luxury. Adding to its powerful road presence is the rifled stainless-steel tailpipes, 21” wheels, dark tint bright ware and ‘Speed’ fender badges. Combining sporting heritage of the marque with ultimate luxury is a constant theme behind its new capabilities. Added features to the interior include diamond-quilted seats and door pads, knurled gear lever and drilled alloy sports pedals. A striking sports interior colour split with Speed stitch line and perforated hide also ensure the powerful and exquisite Speed remains unique. You will always be reminded that inside the cabin it is simply a nice place to be. The new Mulsanne Speed is a car for those who prefer to take the wheel for themselves. Its 6¾ litre twin-turbocharged V8 engine generates 530 bhp at 4,000 rpm and 1,100 Nm of torque. The highest torque of any four-door luxury car, the Speed delivers 5% more brake horsepower and 8% more torque than its Mulsanne sibling. Accelerating smoothly from 0-60 mph in 4.8 seconds and reaching a top speed of 190 mph. Cutting-edge engine technology delivers competitive emissions and fuel consumption figures for a car it this size. Mulsanne Speed combines outstanding driving dynamics with supreme refinement, offering four driver-selected suspension settings which ensure a comfortable ride in all performance conditions. 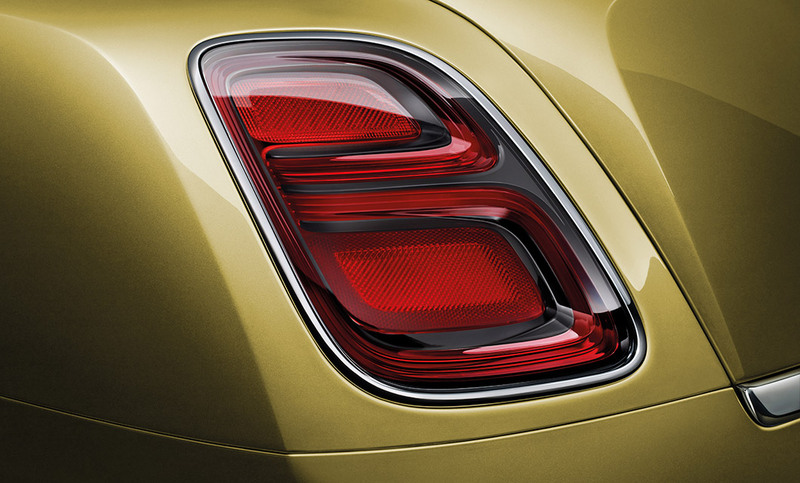 A range of personalisation options ensure that you can make your mark on your Mulsanne Speed. 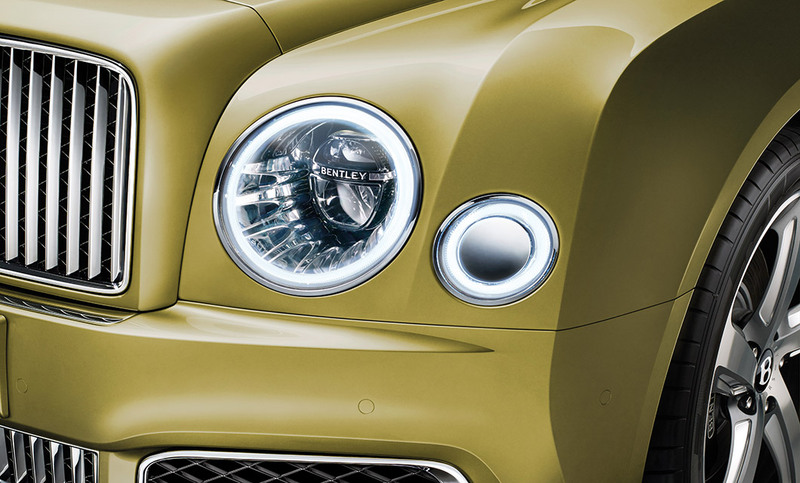 Bentley offer an extensive range of over 100 exterior colours, 11 veneers, 24 hide colours and 13 duo-tone options, there are additional ways to make your mark on your Mulsanne Speed. These include Bentley optional carbon-fibre inserts to waistrails that complement the Speed’s contemporary character. You may also opt for the Mulsanne Speed Premier Specification, which features 21" Mulsanne Speed wheel in dark tint or polished finish, the distinctive Flying ‘B’ radiator mascot, Jewel fuel filler cap and remote-controlled garage door opener. Also included are two city umbrellas, a valet key and veneered media drawer and minor gauges panel. This is a world where minute details make all of the difference. This is the Mulsanne world. Below are the technical specifications for the New Mulsanne Speed. Interested in a New Mulsanne Speed?